At every point in Barack Obama's spectacular career, there has been a socialist ready to help. 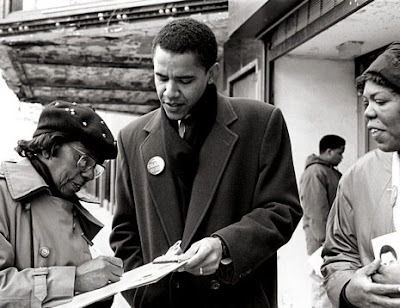 Few people have done as much to help Barack Obama as did Alice Palmer. Few have been so quickly abandoned. The story of how Illinois State Senator Alice Palmer anointed the up and coming Barack Obama as her chosen successor is well known. In 1995 Palmer introduced Obama to many of Chicago's radical elite in the home of former Weather Underground terrorists Bill Ayres and Bernadine Dohrn. Also present was Obama's long time friend, neighbour and supporter Quentin Young, a member since 1983 of Democratic Socialists of America (DSA). Young was once accused by the House Committee on UnAmerican Activities of being a member of the Communist Party USA-specifically the North Chicago based communist doctors branch, the Bethune Club. Alice Palmer promoted Obama to a much wider audience than the Ayers/Dorhn circle. A passing of the torch it was. Harold Washington, Chicago's first black mayor,who had died in office in 1987, was elected by a coalition led by the Communist Party and a group of Marxists who went on to form Democratic Socialists of America. It was Harold Washington's success that had inspired Barack Obama to come to Chicago in the first place. Why did Alice Palmer choose Obama as her successor? What impressed her enough to support the young left wing lawyer? Did she see in Obama, a kindred soul? Palmer began working at Malcolm X College in Chicago in the late '60s. She received her Masters degree from the University of Illinois at Chicago Circle Campus and her Ph.D. from Northwestern University where she later became Director of African American Student Affairs. 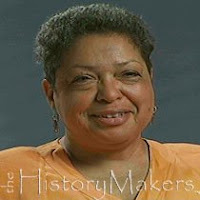 Palmer, with her husband was also inviolved in the Chicago based Black Press Institute. It was as a representative of this organisation that Palmer served on the executive board of the US Peace Council from 1983 to 1985. The US Peace Council, was according Rob Prince of the Colorado Federation of Teachers, created by the Communist Party USA. In Lawrence S Wittner's 2003 book, The Struggle Against the Bomb, Prince, a 15 year veteran of the CPUSA National Council describes how he was "part of a nucleus of Communist party activists" that set up the US Peace Council in 1978/79. There were several known communists serving alongside Palmer on the Peace Council executive. Known Party members included Rob Prince, Sara Staggs of the Chicago Peace Council, Frank Chapman of the National Alliance Against Racial and Political Repression, Pauline Rosen of Women's Strike for Peace and Council executive director Mike Myerson. Several other executive members later joined the CPUSA offshoot Committees of Correspondence for Democracy and Socialism including then Mayor of Berkely Gus Newport, Boston academic Mark Solomon, Otis Cunningham of the Chicago Peace Council and current US Democratic Congresswoman Barbara Lee. The US Peace Council was affiliated to the Soviet controlled and funded World Peace Council. In 1983 Palmer travelled to Czechoslovakia to the WPC's Prague Assembly, just in time for the launch of the Soviet Union's “nuclear freeze” movement-designed to cement Eastern bloc military superiority over the West. In June 1986, the Black Press Institute contributed an article, “An Afro-American Journalist on the USSR,” to the Communist Party USA’s newspaper People’s Daily World. The article detailed how Alice Palmer had recently attended the 27th Congress of the Communist Party of the Soviet Union and had been greatly impressed by the Soviet system. By the mid '90s Palmer was involved in another leftist organisation the Illinois Public Action (IPA). Ostensibly a consumer group IPA was one of Illinos' leading leftist pressure groups. Communist Party members Bea and Frank Lumpkin were prominent as were several DSA members including board meber Quentin Young. Other key activists included Bill McNary and Congresswoman Jan Schakowsky, both later key obama allies. In 1995 Alice Palmer decided to relinquish her Illinois State Senate Senate seat to run for Congress. Barack Obama served as Palmer's chief of staff during the campaign, but Palmer failed badly, losing the three way race to Jesse Jackson jnr. Jackson Sr. approached Alice J. Palmer with a deal where they supported her for Congress and she support Junior for her seat in the Illinois State Senate, but Jackson Jr. did not agree with that plan...he decided to run for the seat. Palmer ran and endorsed Barack Obama for her old seat. Jackson has a lengthy relationship with Barack Obama. The two have collaborated on issues, stood together against the party slate on certain reform-minded candidates and sought each other’s advice. Additionally, Jackson's sister Santita was a close friend of Michelle Obama and served as a bridesmaid at the Obama wedding. Jesse Jackson jnr now co-chairs Obama's national campaign. In 2007 Jesse Jackson's wife Sandi, stood successfully for the Chicago City Council-backed by the Communist Party. After losing to Jackson, Palmer decided to restand for her State Senate seat and asked Obama to stand aside-he refused. This caused a huge rift and Palmer's friend Timuel Black was called in to mediate. He was unsuccessful, but ended up becoming a friend and supporter of Obama's. Unsurprisingly Black himself was accused of Communist Party membership when he joined the Army during World war Two. today he serves on the advisory board of the Committees of Correspondence for Democracy and Socialism with Gus Newport. Palmer resolved to run against him (and two other opponents who also had declared their candidacy) in the 1996 Democratic primary. To get her name placed on the ballot, Palmer hastily gathered the minimum number of signatures required. Obama promptly challenged the legitimacy of those signatures and charged Palmer with fraud. A subsequent investigation found that a number of the names on Palmer's petition were invalid, thus she was knocked off the ballot. Obama knocked out the other two candidates by the same method, eventually winning the Democratic primary by default. Alice Palmer is now a Hillary Clinton supporter.